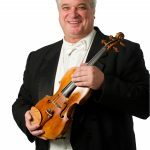 Scott Staidle was born in Cleveland, Ohio, and studied at Eastman School of Music at the University of Rochester and at the University of Michigan. 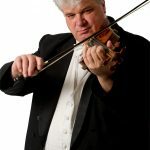 A member of the first violin section of the Louisville Orchestra since 1980, Mr. Staidle has arranged music for the LO and for his own duo and string quartet, Derby City Strings. He has written many arrangements and string performance music books and has performed his own music with rock bands. He’s active in the recording industry and publishes his work extensively through the Mel Bay Publications.